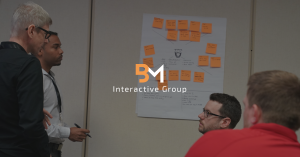 MIAMI, FLORIDA, UNITED STATES, February 11, 2019 /EINPresswire.com/ — Miami, FL – BM Interactive Group, LLC, a user experience and product design services firm located in Brickell, has announced it’s latest offering of professional advancement education in the areas of user experience and product management. Throughout 2019, BMI aims to provide high quality “real world education” workshops in these disciplines at an affordable price and continue its effort in providing awareness and alternative avenues to educate and improve their skill set in these disciplines. “Having a great user experience is critical for every business to have and it’s even more critical that organizations understand what exactly UX is, and how to apply it throughout their organization and products properly. Each year the community is growing its knowledge and expertise in this field, and we’re excited to see more and more local South Florida companies adopt these practices in their proper form” says Ignacio Garcia-Huidobro, founder of BM Interactive Group and co-founder of UX+DEV SUMMIT. For 2019 we plan on offering three main courses: UX For Developers Decoded, UX+DEV Processes and Workflows Decoded, and UX Leadership and Strategy. These three courses will target most of the stages in the product life cycle. From decoding UX Fundamentals to help developers or engineers bridge the gap between technology and design, to assisting teams to understand the power of processes and support them by providing the best practices to not only create a great user experience, but to maintain the user experience throughout the different stages of the product journey, while learning how to tackle the challenges that come when entering each stage. Our last course will be focusing on UX Leadership and Strategy which is essential on creating user-centric strategies to lead, define, and execute at an executive level. “The UX trends are shifting and designers, along with product teams will find themselves more and more focusing on processes and building greater empathy for businesses,” says Ignacio Garcia-Huidobro. BMI will be offering such training, and we look forward to seeing everyone at our workshops. BM Interactive Group is a product design, development, and services firm headquartered in Miami, Florida. BM Interactive specializes in helping companies transform and reimage their digital experiences from concept to completion. More information about the company is available at bminteractivegroup.com, or by calling 305.702.0274.